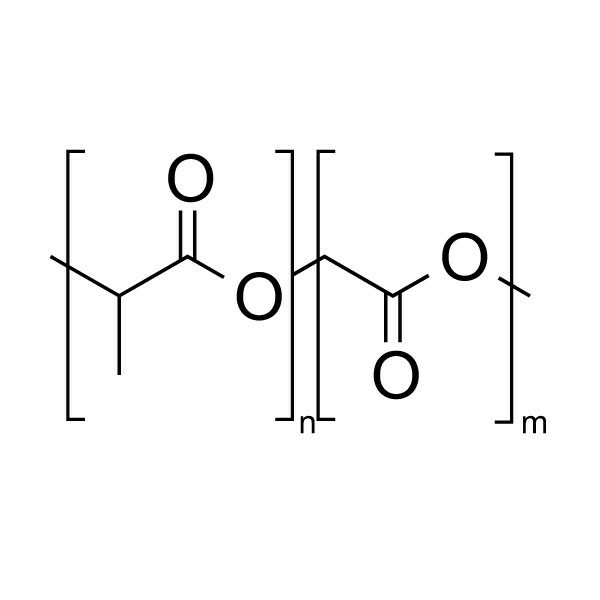 Poly(D,L-lactide-co-glycolide), catalog # 26297 is an ester terminated copolymer of DL-lactide and Glycolide in a 50/50 molar ratio and with an inherent viscosity midpoint of 0.4 dl/g. It is available in white to light tan granules and is primarily used for drug delivery applications and is suitable for all commonly used formulation techniques. Best stored in an inert atmosphere and at low temperatures (-15°C). Protect from moisture. Best if store at -20°C in an inert atmosphere.